Tooth Ache Pain the Size of Texas, Patients often come into our Pasadena, Texas dental practice and complain about an extremely painful toothache. 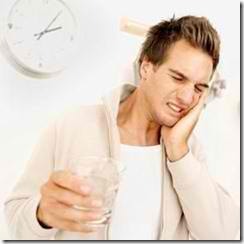 Dr. Nugent understands that dental pain is horrible and will find the cause of the pain and treat it. Dr. Nugent budgets time throughout the day for dental emergencies. 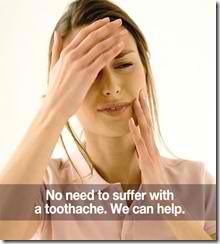 If you are having severe dental pain call 713-941-8261 and Dr. Nugent will see you today. Federal Law dictates that Dr. Nugent cannot prescribe medications to people that are not his patients. Do not let a little tooth pain turn into a major pain where you cannot sleep at night.Toothache pain for anyone in La Porte can be unbearable and debilitating. Toothache pain can also cause you to avoid eating certain foods or drink hot/cold liquids. Severe toothache pain can be incapacitating, forcing patients to go to extreme measures to alleviate the pain.The most common causes of a toothache is tooth infection, decay (cavity), trauma, third molars (wisdom teeth), cracked teeth and gum disease. Tooth pain can also occur after a tooth has been extracted, or after an oral surgery involving anything from a tooth or your jawbone. Dr. Nugent will examine you and take X-rays of the painful teeth. He will perform tests on the teeth to evaluate the condition of the tooth’s nerve. He will check for cracked teeth and evaluate your gum tissue. Dr. Nugent will identify the problem so that he can offer solutions to get you out of pain.Of course, the best way to avoid toothache pain is to visit Dr. Nugent’s Pasadena Texas Dental Office regularly and to maintain great oral hygiene at home. Simply brushing your teeth after meals, using mouthwashes and flossing can greatly prevent dental problems. If you are experiencing toothache pain and can’t stand it anymore, please give Dr. Nugent a call at 713-941-8261 and Dr. Nugent will work you into his schedule.Dr. Nugent’s Dental Office is located at 3421 Burke Rd, Ste A, Pasadena, Texas. Dr. Nugent is a General Dentist that has a strong commitment to Cosmetic Dentistry, Dental Implant Dentistry and Sedation Dentistry. Dr. Nugent was voted BEST DENTIST in PASADENA TEXAS for 2010 and 2011 by the Pasadena Citizen Newspaper. Let Dr. Nugent’s passion and dedication to dentistry help you in your journey to perfect dental health.